NOTE: We are now a Payment Facilitator. Over the next month, we will be moving to the next level of sophistication in our credit card processing and become an official Payment Facilitator (sometimes called a Payment Service Provider). This will ensure we are meeting banking and VISA and Mastercard processing rules as being an authorized intermediary between credit card holders and races. All registration companies will need to move in this direction, or use an intermediary payment facilitator like we currently use with Braintree Marketplace to meet credit card industry rules. Registration services and races not complying with these rules risk having funds withheld or even have processing halted suddenly. The fundamental rule is that the merchant providing the goods or services (in our industry the people putting on the race and their bank account where the money goes) needs to be the merchant taking the money from the credit card holder directly. The process of creating a “merchant account” is somewhat difficult, the fees are higher if the volume is small, the overhead of handling things like refunds and chargebacks is complex, and there is a need to integrate that with the race registration system. This difficulty in becoming a merchant, coupled with the need to use software to solve different problems has given rise to a number of businesses like Uber (where Uber sits between the passenger and the driver), AirBNB (where AirBNB sits between the guest and the owner), and registration companies like RunSignUp (where RunSignUp sits between the runner and the race). When we started out, we were like most registration companies and put all the money into our own merchant account and then made payments from there. That is not within the rules of VISA and Mastercard and the banks, but is often ignored for small companies or ones with low growth so they are not reviewed. We have had to change banks twice in our history because although originally approved, the banks later changed their review processes. In the first case after only a couple of months using PayPal, they shut down credit card processing on us without notice. In another case, PNC Bank after pursuing us to use them as the acquiring bank froze our account and held $120,000 for a couple of months (fortunately we are well financed enough that we still made payments to our customers on a regular basis). So we were very happy to move to Braintree Marketplace a year and a half ago. They are an authorized Payment Facilitator and are authorized to set up sub-merchants and facilitate the direct payment from the credit card holder to the race with us managing that movement of money (i.e. daily, weekly, monthly payments, refunds, handling chargebacks, etc.). While Braintree has been a great partner, and one we will keep using for a variety of services, we have grown to the size where we are becoming a direct Payment Facilitator ourselves. 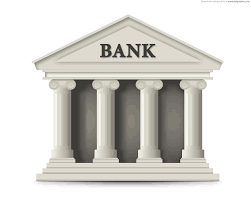 This will introduce some new procedures to our customers to comply appropriately with banking laws and regulations. We will be able to provide some better and seamless processing of funds, refunds and chargebacks. This also will help with our compliance as we grow larger. You will see some improved reporting as well. 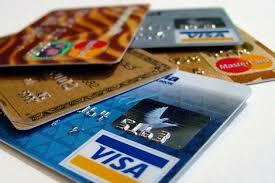 Most importantly, we can assure our customers of continued authorized and compliant credit card processing. Watch over the coming weeks for more information on this topic. We will be making this available to new and renewing races first, and then encourage others to move. Yep! Hopefully by the summer… Also some other cool stuff to help save typing. Hi! I would like to ask a private question, did you use a Consulting Firm to help you with the process and know how of becoming a payment facilitator? If so, any recommendations? Or it was all self set up by the runsignup Team? We are in the same process – but in a different Industry, thank you for sharing the Information about BrainTree. Any piece of advice would be a true gift! Thanks! We are using Vantiv. We are doing all the development ourselves. Their API is OK, but not great. To set up the processes and procedures we did use a consulting company deanarich@deanarich.com. She was expensive, but very helpful since we are not PayFac or credit card processing experts.